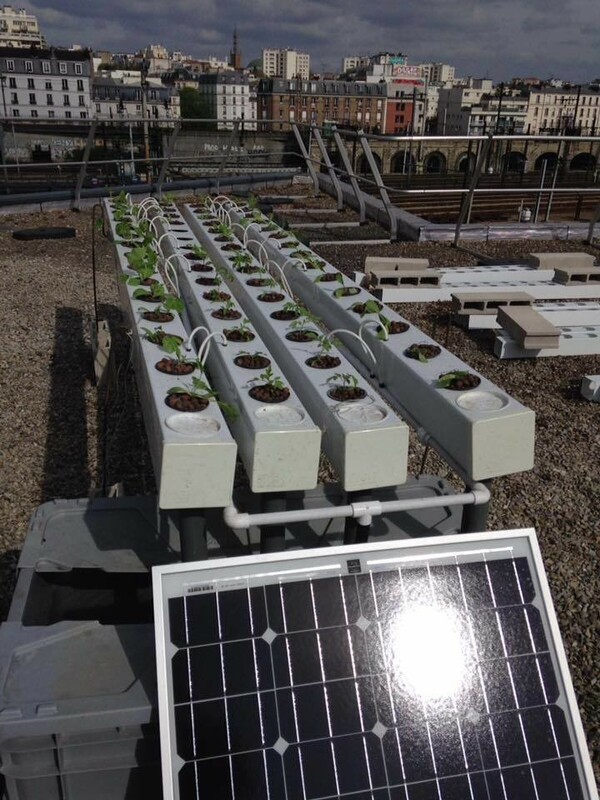 An urban farm flourishes on a rooftop in the heart of Paris. I never can resist a story about urban rooftop gardens, which not only bring fresh produce to city dwellers but also make use of empty space and help reduce carbon in the atmosphere. I have blogged about them a lot. There was the post about a rooftop garden in Montreal, here. Another about Higher Ground in South Boston, here. Suzanne and Erik’s former church in San Francisco, Glide Memorial, made its rooftop garden a community-building activity for Tenderloin residents. And this was an article about a Whole Foods that aimed to harvest 10,000 pounds of food a year from its rooftop in Lynnfield, Mass. Today’s story comes from Paris. “In 2016, her administration launched Parisculteurs, a campaign that is working to cover 247 acres of rooftops and walls in Paris with greenery by 2020. “One third of that greenery will specifically be set aside for urban farming. To date, 74 organizations have signed a charter to work with the city on planning this enormous enterprise. The city has already approved 75 projects for development, which are estimated to produce more than 500 tons of vegetation. ” ‘Three years ago, people laughed at my plan. Today, citizens are producing [food] on roofs and in basements. We are also asked by numerous cities around the world to present the Parisian approach,’ she said. More at World Economic Forum blog, here. What a commitment this takes!